Since 13th May is Mother’s day, all are looking out to do something special for their moms. Mothers is seen as next to God and her significance in life can’t be replaced with anyone. It is truly said that Mother is living God on earth. Mother – daughter or a Mother – son relationship is such that you feel so near and close to her. She is the one with whom you can share anything, dance freely and enjoy out like your girlfriend. So let us plan out something great for your mom and discover fun things to do on mother’s day. Nice things to do for your mom is what you are planning then try to convert it to fun things. I would suggest don’t search for cheap things to do for mother’s day or free things to do for mother’s day. She is so precious that cheap and free does not go with her. Ok, so you are planning to give your mom a card on this mother’s day. But trying to make it something special. Then remember your childhood days, take out something when you were a kid, write a note on that small little thing and stick it on the card, or try to depict a memory in form of card. No card in the world can give her happiness then this card idea for the mothers day. Though this is not the fun thing to do but it is the best thing to do on mother’s day. Mothers day cards ideas should be wrapped in emotions and personalized then giving anything from the market. Cards are not actual Fun Things To Do On Mother’s Day, but you can actually design and give cards in a way to make it fun. Ask your mom to be your girlfriend and take her out for a day date. Believe me, it would be the best date in her life and she would love to watch a movie with you. Imagine a feeling of being important in your life. You can take her for a movie, go for lunch, book a special dinner for two. I take my granny for such day outs and she asks me that I don’t remember what I did for you that you are doing so much for me. I always tell her that this is for combing my hair, washing my hair, feeding me good food, taking me out with grand pa and you. She just keeps quiet and feels happy. If you are searching for the fun things to do on mothers day, then real fun is to be girl once again. Your mom would have become hard with time let her feel free and happy. Call her or your friends at home. Arrange some funky night dresses, some good drinks, good old days music and lots of girl like chats about boy friends and crush in her life. Or make it just you and her. This is just the best idea for the fun things to do at home on mother’s day. Even if you are a son or a daughter, its gotta be great to spend a day at spa with your mom. Have some fun while having Manicure or foot massage. You can tease her and have fun about many things there. Tell her to have a make over and look completely new and help her to be refreshed. This is going to be really Fun Things To Do On Mother’s Day for today’s mom. Time has changed. Mommy’s are actually now coming out of those all tantrum days. They love to get together with her buddies and enjoy every bit of life. So let her cheer for the day and enjoy. There are many other fun things to do on mother’s day but the ideas to please your mother can be identified only by you. If she loves to stay and relax at home, then it is best to serve her whole day and make her feel special. Just you and your mom. Fun things to do at home on mother’s day is very cool idea to implement. Never do anything over the top. 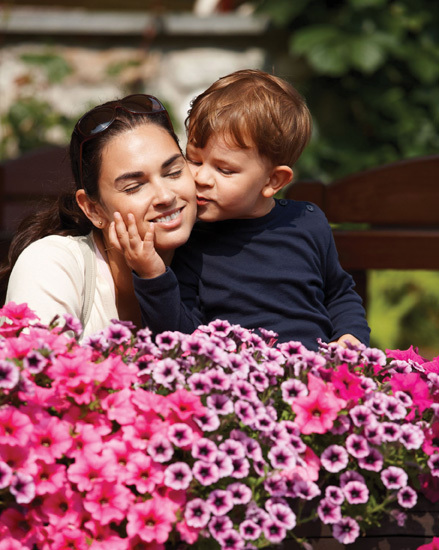 Collect and implement only those mother’s day ideas with which your mom will feel comfortable. You know your mom the best. Happy Mother’s day 2019. Thanks Uma.. Trying to add some more genuine ideas..